1pcs/Carton, Carton Dimension: L750mm*W500mm*H250mm; G.W. : 15KG. 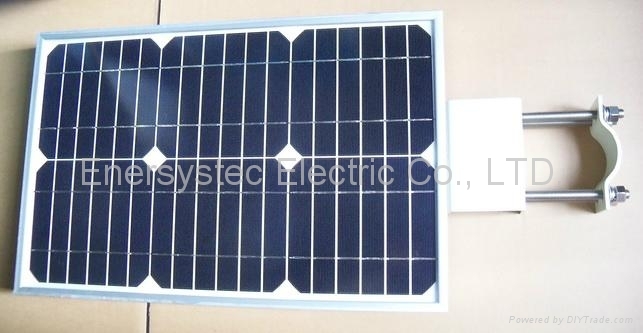 This innovated product was combined solar panel, Lithium battery, LED module and MCU control system in the one aluminum housing, with excellent design and utilized high quality material. 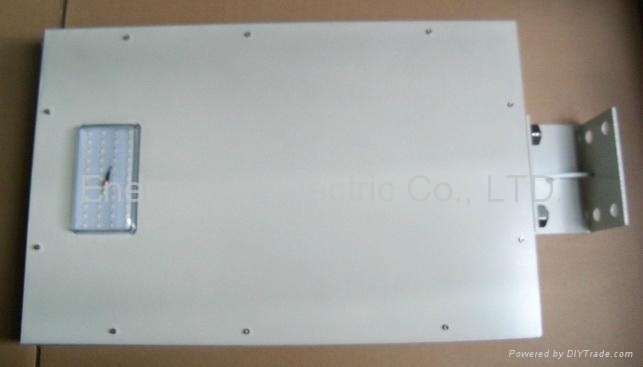 We designed the high efficiency controller and firmware, the charge efficiency will be >95%, improved the charge efficiency of the solar panel, so the solar panel can still charging the battery even the sunlight is very weak in the cloudy day. Utilized Lithium battery, the battery lifespan will be >2000 times discharge/charge cycle, the lifespan is four time longer than LEAD ACID battery (about 500 times), also the Lithium battery has no pollution to environmental and no hazard material. A constant current LED driver used to drive the LED module, so the lighting is more stable and light decay is very low. Do not need any wiring, just mount it on the light pole, make the solar panel toward the sunlight, then the light will be turn on at evening and turn off at morning automatically. Its required 6 hours charge time by solar panel, so make sure the light is not install under a tree or near a building where will has shadow on the solar panel, that will cause the solar panel can not recharge the battery fully.